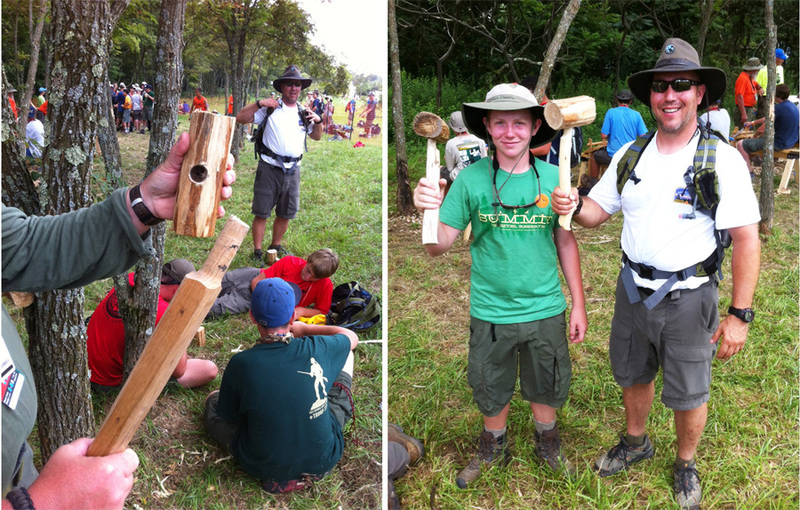 Those Scouts and Venturers visiting Garden Ground Mountain could make a mallet, perfectly-sized for driving in large tent and dining fly stakes and strong enough to even handle small pioneering stakes. 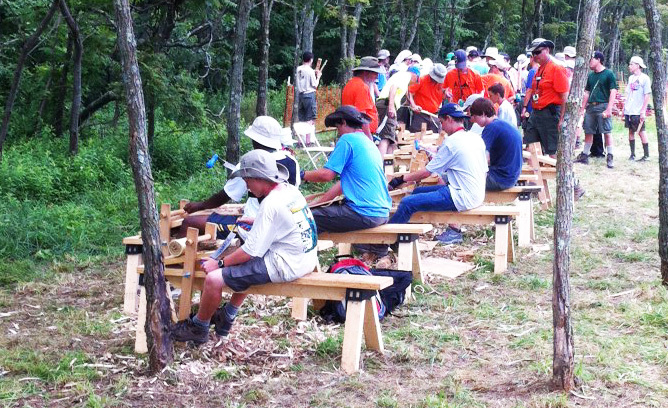 Mallet making was by far the most crowded and popular of all the pioneering area stations at the 2013 jamboree. So much so that it’s been suggested next jamboree, there should be provision for Scouts to take a number. Then they wouldn’t have to crowd around and wait in line, but instead could be free to visit other activities and displays. When it was their turn, their number would be called out using a bullhorn. Reblogged this on Troop 26 of Great Falls, MT.